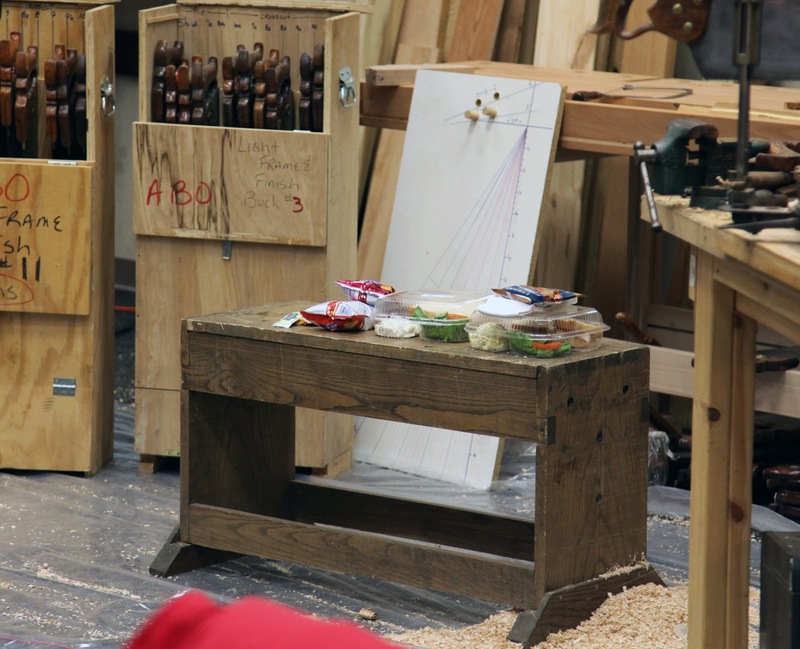 Although accuracy is not the same as precision, a good amount of both in woodworking pays dividends in assembly and the appearance of the final product. Practice in the craft is the first way to get better at both, but decent tools don't hurt! My first line of defense against a sloppy project is an appropriate marking tool. I say appropriate because the marking tool I choose to use depends on several factors. I have a plethora of mark makers in the shop, some are good for rough scrawls and some leave hairs-width straight lines. Forgive me Roy, for I have sinned. I let yet another project sit half finished for way too long. 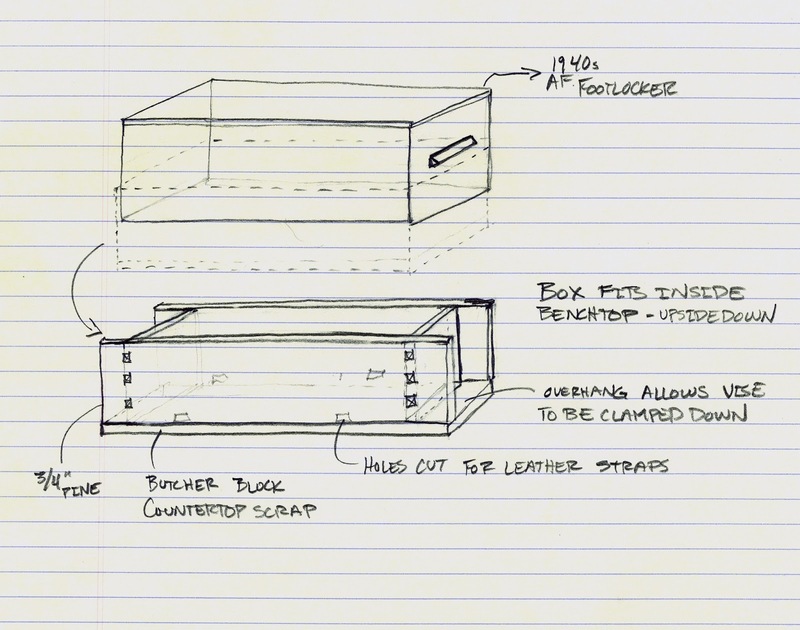 I posted a short piece on a traveling workbench I am building which will allow me to do some "vacation woodworking." I let the traveling bench sit for a while because I saw two different designs at the WIA 2012 show that gave me some ideas to steal to consider incorporating. One was the famous sawyers bench/sitting workbench by Mr. Ron Herman. Mr. Herman's small travel bench is great because the basic design can be adapted to your physical proportions, so no two benches are exactly alike. You should be able to kneel on the bench with one leg while standing on the other, so approximate the height to the bottom of your knee. The length is up to you (though it provides a nice place to take a post lunch nap if you make it long enough), and it should be about as wide as your money-maker to provide a comfortable sitting surface and will allow you to straddle the bench comfortably. There, precise measurements, he threatened death if we used a ruler. This travel bench seems best for most types of sawing and some basic chisel work. 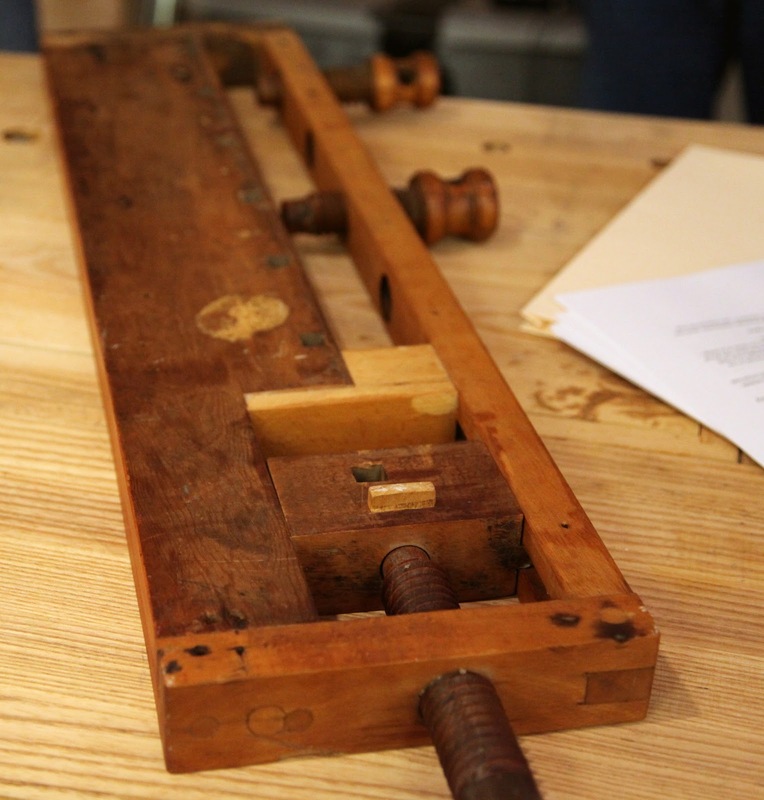 The dog holes in the end work well for holdfasts and clamps to hold work perpendicular to the bench as well. Oh, and it also holds lunch. With some minor adaptations I think this bench could be a good one to add to my vacation "to-do" list. The second bench is slightly more involved but really got me thinking. 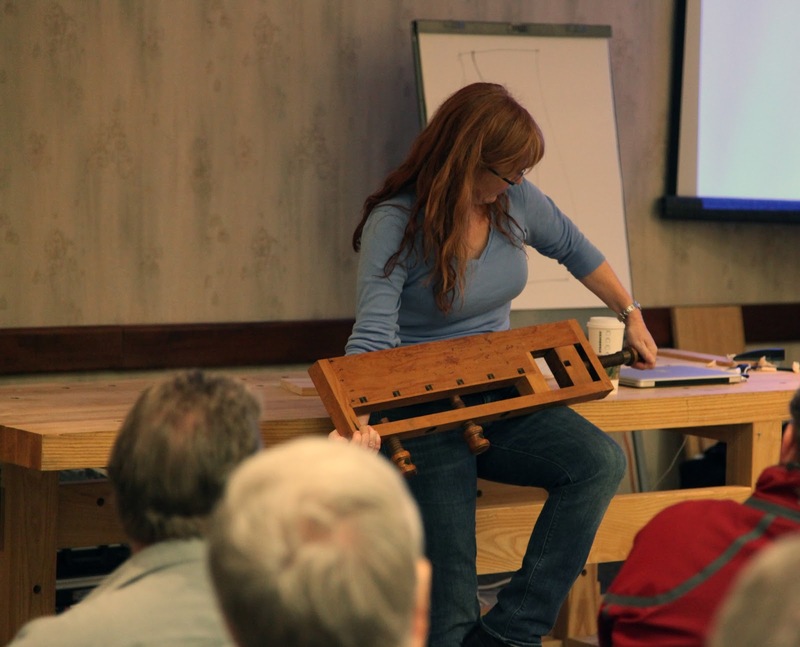 I want to be able to use my handplanes on vacation and at some work-sites so I'll also need a bench that works well while I'm standing up. The one I am building doesn't incorporate any built in vises, but it will accommodate ratcheting clamps, pipe clamps and holdfasts. It will also stand on a pair of sawhorses, and strap to the bottom of my tool chest. 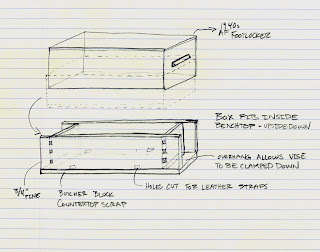 Here is a crappy drawing of my bench currently under construction. I particularly like the design of the traveling bench I saw at WIA, however, because it can be used right on a kitchen table (with a clamp). This would even allow me to work in my house when it is either 100 degrees or 10 degrees in my workshop... the tricky part is convincing my wife that this is a good idea... 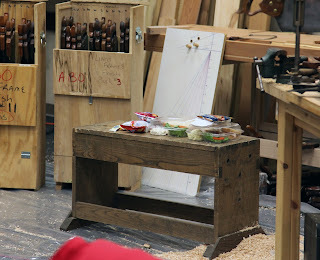 If you are interested, Mr. Chris Schwarz is building some of these traveling benches for an article in Popular Woodworking soon, his blog entry on them can be found here. I have made it a goal to finish my traveling bench before I go to the beach again this summer, so hopefully I'll make a good sacrifice to the spare time gods before June.